As part of the US Department of Arts and Culture’s 2016 People’s State of the Union, we invite you to join us at Downtown Art for a special story circle. Tell us what you think the next President absolutely needs to hear. Recount an experience that gave you insight into the state of our union. Share a story about a moment you felt true belonging—or the opposite—in this country. That’s why the US Department of Arts and Culture (not a government agency, but a people-powered network of artists and cultural workers) created the People’s State of the Union. The PSOTU is an invitation to supplement the President’s stories with our own. People across the country will be participating in story circles from Jan 23-31, and uploading their thoughts to the online story portal. 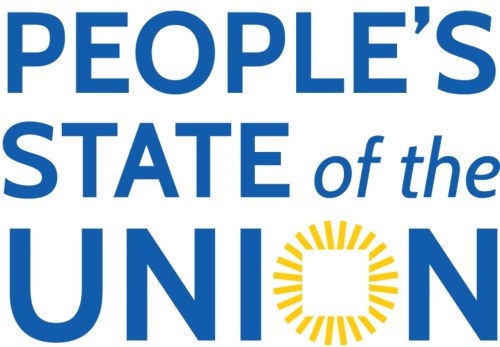 All the stories submitted will provide inspiration for a collective “People’s State of the Union Address” delivered in the form of a poem on Feb 20th in Philadelphia, PA (and livestreamed for us NYC folks). The Downtown Art studio is located at 61 East 4th St (between the Bowery and 2nd Avenue), Suite 7W (on the 7th Floor). Take the F train to 2nd Avenue, the 6 train to Astor Place, the N,R to 8th Street, or the B,D,F,M to Broadway-Lafayette. View photos from the 2016 PSOTU HERE.